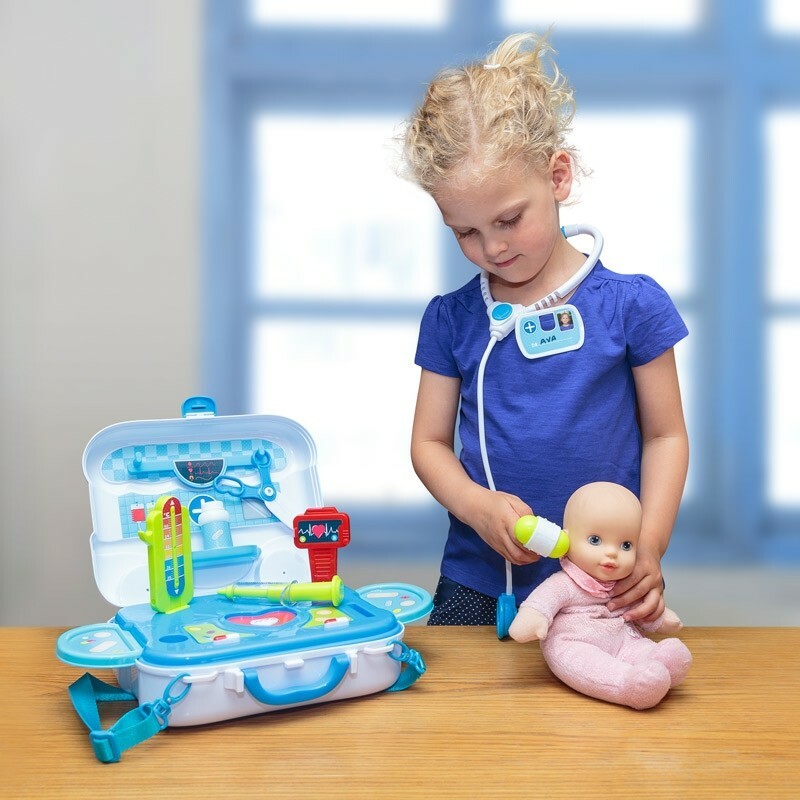 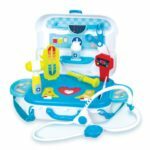 A large plastic doctors case containing a huge selection of play medical tools. 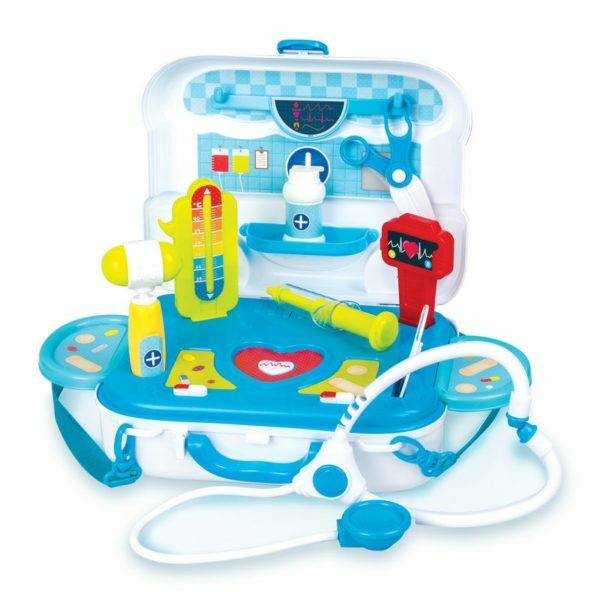 Open it up and you’ll find a stethoscope, thermometer, pill bottle, scissors, syringe, spoon, reflex hammer, heart monitor and a badge. 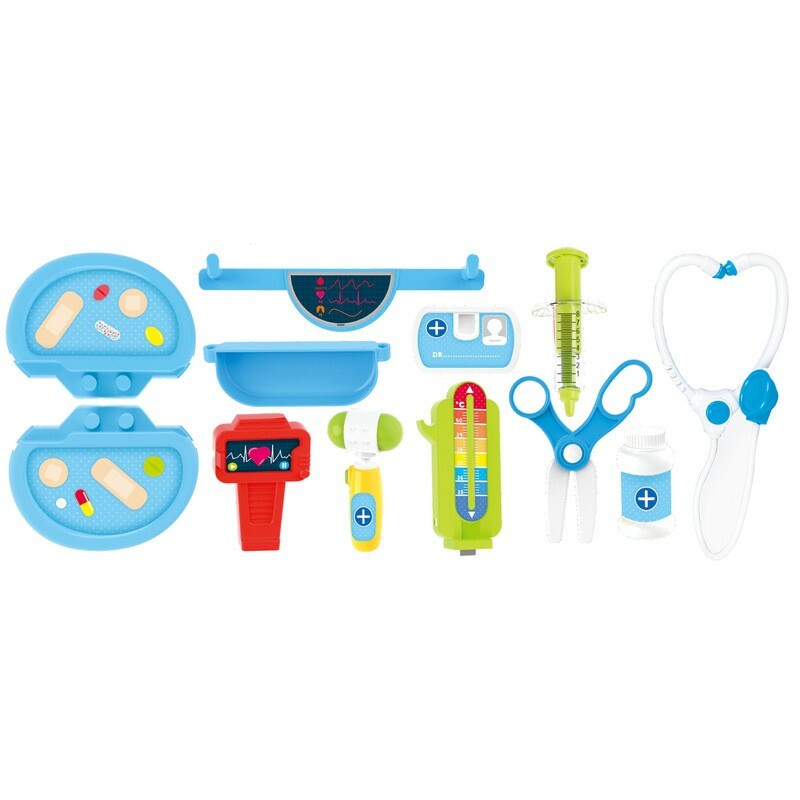 The inside of the case is lined with a series of hooks and slots that can be used to hold each piece of equipment. 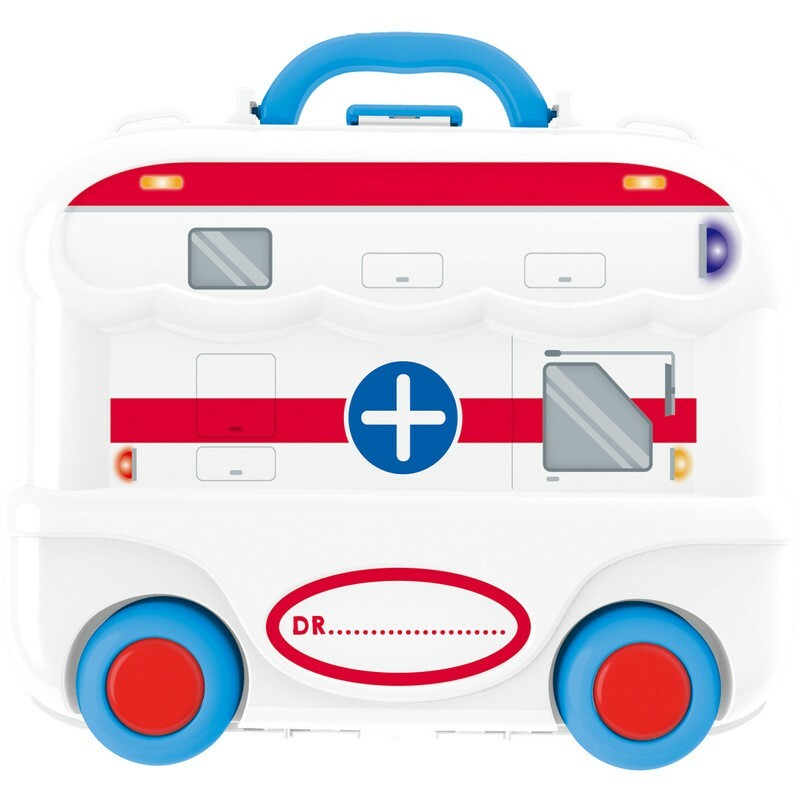 The case itself features wheels so that it can be rolled along, but also has back pack straps that make it easier to carry.